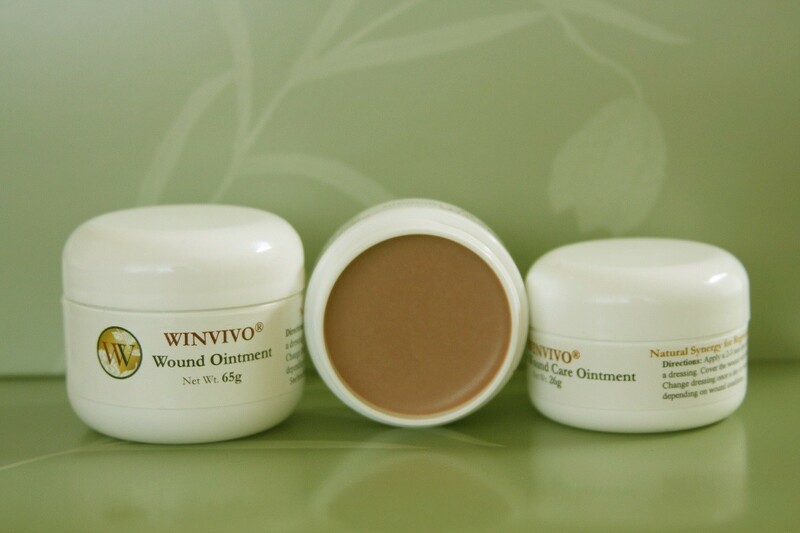 The WINVIVO Wound Ointment is a uniquely effective, multi-functional topical ointment. It has been clinically demonstrated to promote autolytic debridement of necrotic tissue, absorb malodor and remove bacterial biofilms, and to promote microcirculation and tissue regeneration in an occlusive, moisture-balanced environment. Each unit is one jar containing net weight 26 grams (0.9 oz) of ointment that is sufficient to dress a wound of 2-3 sq. cm in area (size of a quarter coin) for 6-7 weeks with dressing change every 2 days. Each unit is one jar containing net weight 65 grams (2.3 oz) of ointment that is sufficient to dress a wound of 6-8 sq. cm in area (size of an adult's palm) for 6-7 weeks with dressing change every 2 days.